Spring has arrived almost unnoticed – the sun is suddenly shining all the time, the weather is getting warmer and no need to wear endless amounts of layers and layers of clothing all the time. But this also means that all the gorgeous plants are blooming, pollen is in the air and our eyes start to water unstoppably. 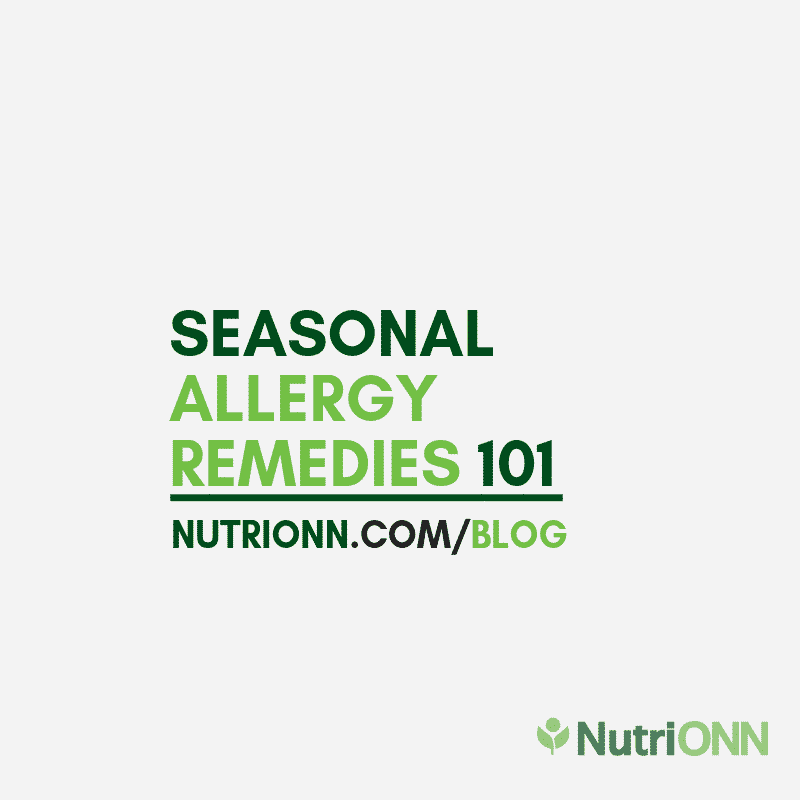 Here are our top tips on how to naturally relieve seasonal allergy symptoms. There are different types of allergies that a lot of us might struggle with. More than 50 million Americans experience allergies every year. The main types of allergies are seasonal allergies, food allergies, skin allergies, dust and mold allergies, pet, animal and bug allergies and drug allergies. Please note that in this blog post we’re not discussing anaphylaxis. This is a serious and potentially life-threatening allergic reaction that needs urgent medical attention. Most commonly in spring, summer and fall we deal with seasonal allergies. Seasonal allergies occur because of the increased pollen in the air that’s caused by blooming plants, grass, trees and flowers. Furthermore, warmer and more humid weather helps mold grow quicker, which is another trigger for allergies. Moreover, with the warmer weather we are bound to encounter more insects as well. As we briefly mentioned above, getting bitten or stung by a bug can also cause an allergic reaction. The most common symptoms of allergy are runny or stuffy nose, watery eyes, sneezing, itching (also in throat, nose and eyes), skin rash or dryness, hives, swelling, increased mucus production, coughing, wheezing and shortness of breath, fatigue, headache and in some cases asthma. There are lots of over the counter and prescription medications to relieve allergy symptoms. Not to mention the creams, lotions, nose sprays and eye drops that can all help combat the symptoms of allergies. However, we do believe that you shouldn’t only rely on dealing with the symptoms, but rather get to the bottom of the issue. Commonly the issue lies within your immune system. Your body reacts to an allergen because your immune system is already weakened and isn’t functioning the way it ideally should be. Long story short – your body reacts to normal substances found in the environment around you with a strong reaction, as if it was a serious threat to your body and your immune system. One of the best ways to support your immune system is to reduce excess inflammation in your body. When your body is experiencing chronic inflammation, you’re likely to suffer from allergies more often and with more severe symptoms. One of the easiest ways (but also the hardest – we know the struggle!) to keep inflammation at bay is to eat a healthy diet and limit the amount of foods that may trigger inflammation in your body. For a lot of us it may be dairy and wheat products, excess meat or nut consumption, eating too many processed foods and sugar. Balance is key – if you eat a balanced diet consisting of various food groups that your body needs, and won’t go overboard with meat, wheat, nuts and dairy, you can naturally reduce inflammation. If you’re already exposing yourself to too many allergens, you’re most likely to experience more severe allergy symptoms during the pollen season. Likewise, if you’re struggling with seasonal allergies, make sure to limit the exposure to allergens like pollen. Wash your hands and face after spending time outside, use a salt spray or make your own to clean out your nostrils, drink lots of liquids like water and tea to help clean out your system and use HEPA filters to reduce allergens in your home. So what about natural food supplements? Bromelain is our top choice to help reduce inflammation, swelling, but also combat the symptoms of allergies like sneezing, excess mucus production and a runny nose. The added bonus is that as it helps reduce swelling, it also helps to improve breathing to combat shortness of breath. 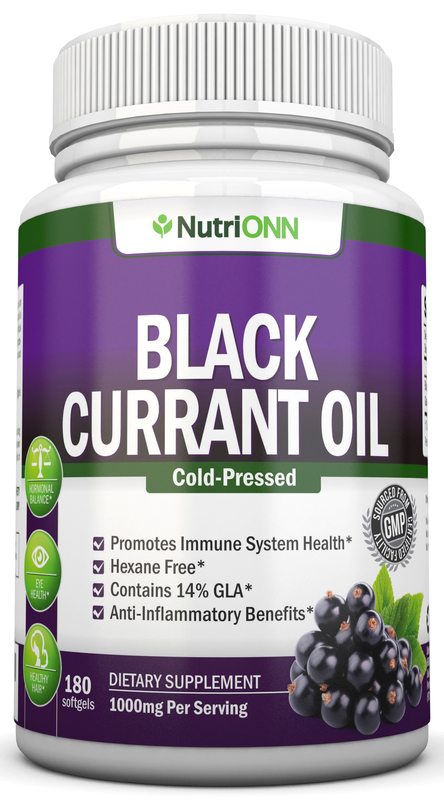 Black Currant Oil is another great natural supplement to combat allergy symptoms and support your immune system. It contains a ton of vitamin C that’s not only great for reducing inflammation, but it’s also a powerful antioxidant and helps strengthen your immune system. The same goes for our Borage Oil supplement – it supports your immune system and reduces inflammation naturally. Plus, it helps support your respiratory system. As a powerful antioxidant, it plays a key role in managing oxidative stress, which is linked to allergies. In addition, Lycopene and Olive Leaf Extract are amazing sources of antioxidants that help fight oxidative stress and strengthen your immune system. And now the one that you’d least expect on this list – Psyllium Husk. Because it forms a protective layer on your stomach’s lining, it helps support your immune system. In conclusion, seasonal allergies are a common problem that a lot of us unfortunately have to face every year. But there are so many things that you can do to relieve the symptoms and enjoy a carefree pollen season. Eat a balanced diet, strengthen your immune system, try to limit the exposure to allergens and use natural food supplements to get to the bottom of the issue. Click HERE to shop our natural food supplements! We all know that smoking is one of the biggest risks you can impose on your health. Unfortunately, nicotine is highly addictive and a lot of smokers out there find it too difficult to quit because of the withdrawal symptoms and a severe habit. Smoking usually starts because of seemingly innocent reasons – wanting to fit in as a teenager or a college student, not wanting to miss out socially or being stressed at work or because of difficult relationships. However, addiction will sneak up on you very easily and getting rid of it is going to be a long journey requiring some serious effort. Nonsmokers might find it very hard to understand the addiction. In contrast, if your family member or loved one is struggling, you should keep an open mind and a calm approach, because they need all the help and support you can provide. Smokers are at a much higher risk of developing heart disease like coronary heart disease, stroke, damaged blood vessels, blood clots and high blood pressure. Furthermore, smoking damages your lungs and puts you at a risk of respiratory diseases like chronic bronchitis, lung cancer, asthma and chronic obstructive pulmonary disease (COPD). Sad fact: smokers are about 12 times more likely to die from COPD than nonsmokers. And of course the most feared disease of them all – cancer. Not only does smoking increase the risk of developing lung cancer by 25 times, it can cause cancer in almost all parts of your body. It’s especially important to quit smoking if you’re a woman. Not only when you’re pregnant, but also when you’re already trying to conceive. 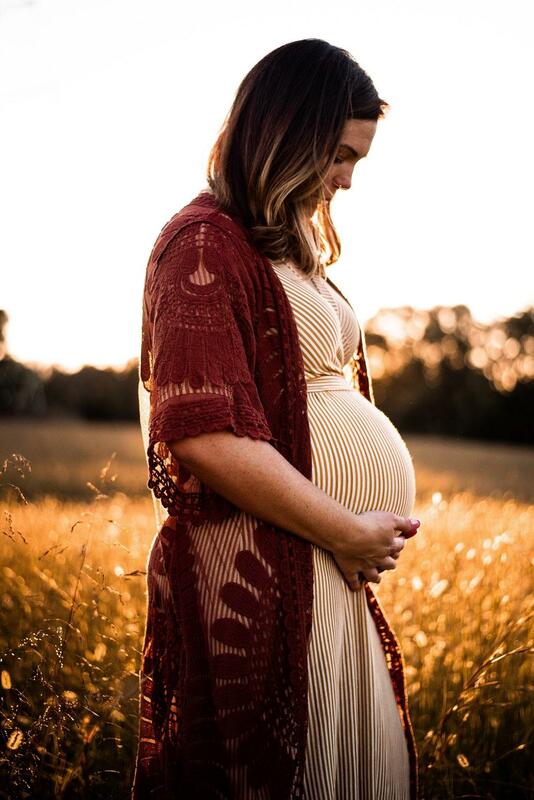 If you’re a smoker, you’re at a higher risk of developing different issues like premature birth, ectopic pregnancy, membrane ruptures and an early separation of placenta. You’re also more likely to have a miscarriage, stillbirth and at a higher risk of birth defects and sudden infant death syndrome. Keep you and your (future) baby safe and seriously consider all of the risks associated with smoking. Nicotine addiction is both physical and mental. Pulling through the physical withdrawal symptoms requires a very strong mindset. Nevertheless, the longer you’ve steered away from cigarettes, the easier it will get to manage those cravings and over time your withdrawal symptoms will get smaller and smaller. If you’ve developed a strong smoking habit, it will be very hard to figure out ways to do with that time instead. Try to get your mind off of smoking as much as possible. 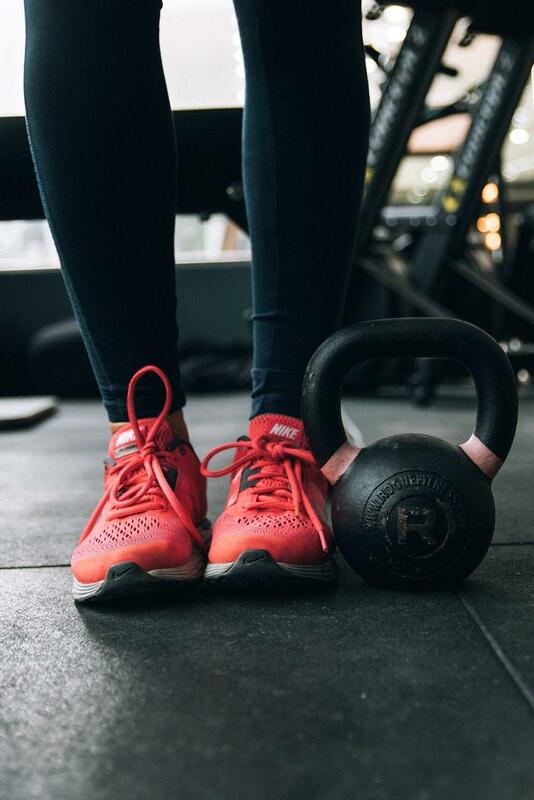 Studies have shown that all types of exercise (from yoga and Pilates to HIIT workouts) have positive effects on reducing your cravings to smoke. Not only are you keeping yourself occupied, you’re actively helping your body to get rid of the toxins you’ve put in it. You’ll also feel that you’re not out of breath every time when taking the stairs or running to catch the bus, because your body is getting used to the physical activity. If you’re used to having a cigarette after a meal, when driving your car or drinking coffee or alcohol, it is extremely important for you to replace your smoking habit with a healthier one. Try walking up and down the stairs for around 5 minutes, or go for a quick walk. This helps to distract your mind, reduce cravings and also get in a small workout! Another tip is to practice deep breathing whenever you feel a craving. Some studies have shown that if you do it every 30 minutes, you’ll feel less cravings to smoke and it helps you manage withdrawal symptoms like irritability and anxiety. Healthy and balanced diet is extremely important if you’re trying to quit. Smoking reduces the amount of nutrients in your body, which in the long run can be very dangerous. Fun fact: Meat can make cigarettes taste better. On the other hand, fruits and vegetables make cigarettes taste a lot worse, so try incorporating more fresh foods into your diet. Adding foods high in antioxidants to your diet is crucial. Antioxidants help fight free radicals and prevent further cell damage in your body. Cell damage leads to premature aging, but also makes your body more susceptible to harmful cell growth. You should also eat plenty of foods containing vitamin C like bell peppers, citrus fruits, tomatoes, blackcurrants and more. Some of the foods that contain high levels of antioxidants are dark leafy greens, blueberries, carrots, eggplant, broccoli and many more. You can also add high antioxidant supplements to your diet like CoQ10, Black Currant Oil, Lycopene, Borage Oil, Olive Leaf Extract or Organic Ceylon Cinnamon to boost your healing process even more. These supplements will help prevent DNA damage and give your body lots of nutrients. Tip: If you feel that drinking coffee is a huge trigger for you, try replacing it with green tea. It’s high in antioxidants, makes your metabolism work faster and gives you energy! 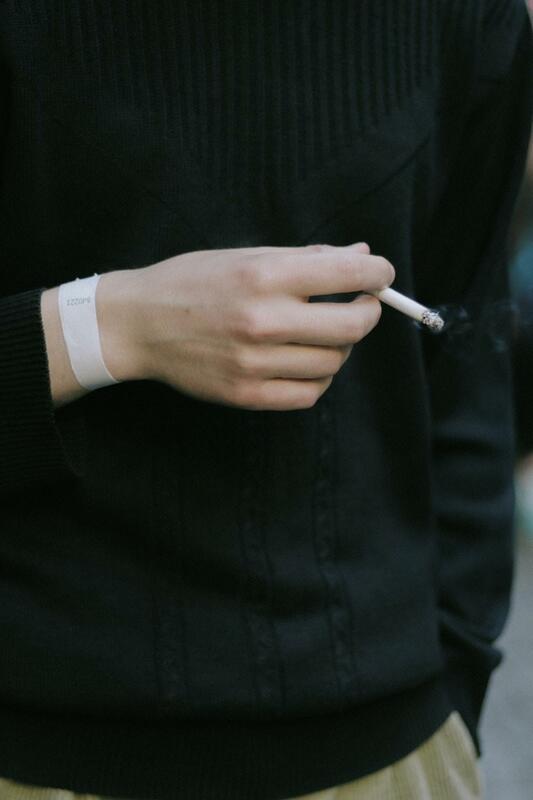 As we already mentioned, smoking puts you at a much higher risk of developing heart disease. If you already struggle with any, supplementing with high quality Citrus Bergamot, Berberine, Organic Ceylon Cinnamon or CoQ10 will help protect your heart. But what about stress, anxiety and irritability? Our Holy Basil will take care of all that. Also, take Magnesium Glycinate to help manage stress even better and get a good night’s sleep. These are also great if you’ve started doing more exercise after quitting – they help your body adapt to stress and Magnesium (but also Electrolytes!) will help reduce muscle soreness and promote recovery. To get rid of the mucus and coughs that might’ve been worrying you, supplementing with Bromelain is a great way to naturally cleanse your body and reduce inflammation. And if you’re feeling tired all the time (this is a common withdrawal symptom! ), start your day by taking a few MCT Oil capsules. These will give you instant energy, because those fatty acids will be immediately burned for energy and not stored as fat. Likewise, there are plenty of small tricks to get you off of cigarettes. Download an app where you can track all the money you’ve saved since you quit, and track the days for how long you’ve been cigarette free. Try to pay more attention to what’s around you and enjoy life without the need to smoke cigarettes. To conclude, nicotine addiction is a serious issue and should not be taken lightly. Make the decision to quit now and use everything in your hand to get rid of it. You and your loved ones will all win. The trick is to be positive, make a proper plan (and stick to it!) and remove all tobacco products from your life. If you have quit smoking successfully, share your best tips and tricks in the comments! Psyllium Husk is one of the most natural supplements you can take to support your health. It is most commonly used for its ability to support your digestive health, but not only! Today, there are several studies that confirm the beneficial properties of Psyllium Husk on your overall health. Let’s dig in. In today’s world, many of us struggle with getting enough fiber from fruits, vegetables and high quality grains. Our diets are filled with processed foods that contain minimal nutrients for our bodies. Psyllium husk is an excellent source of both soluble and insoluble fiber. It contains 70% soluble fiber and 30% insoluble fiber. But beware! If you suddenly start consuming too much fiber, you might experience annoying side effects like stomach cramps, gas and bloating. Remember, balance is key. Start with smaller amounts, so your body can get used to the added fiber in your diet. Moreover, your body needs water when you supplement with fibers like psyllium husk. Find out more in our next point. The fiber in psyllium husk gives a great stimulation to your bowel movement. Both soluble and insoluble fiber play a key role in relieving constipation. BUT! For psyllium husk to work its magic in your digestive tract, you need to consume it with plenty of water. You should take one serving (2 capsules) of our Psyllium Husk with at least one 8 oz. glass of water and drink at least eight glasses of water throughout the day as well. Fiber softens the stool and thus helps relieve the symptoms of constipation. Soluble fiber absorbs water (this is why it’s important to consume it with water or liquids!) and forms a gel-like substance that will help aid in proper digestion. Insoluble fiber adds bulk to this gel and helps it move through your digestive tract quicker (Source). So if psyllium husk helps treat constipation, how can it relieve the symptoms of diarrhea? Easy! Because psyllium husk soaks up water, it will do the same exact same thing in your digestive tract, and eliminate the excess amount of water that causes diarrhea (Source). This will help make stool firmer and slow down the runs. If you’re struggling with diarrhea, don’t take psyllium husk with too much liquids, as the goal is to soak up all of the excess water in your digestive tract. Instead, take it with yogurt or sprinkle some on your cereal. Psyllium husk helps to maintain healthy and balanced pH levels in your intestines. A study published in 2018 showed how patients with gastroesophageal reflux disease a k a acid reflux can benefit from supplementing with psyllium husk (Source). Psyllium husk forms a protective layer to your stomach’s lining that helps combat the burning sensation we know as heartburn. We’ve already mentioned that you need to take psyllium husk with plenty of water for it to work properly in your system. Why? 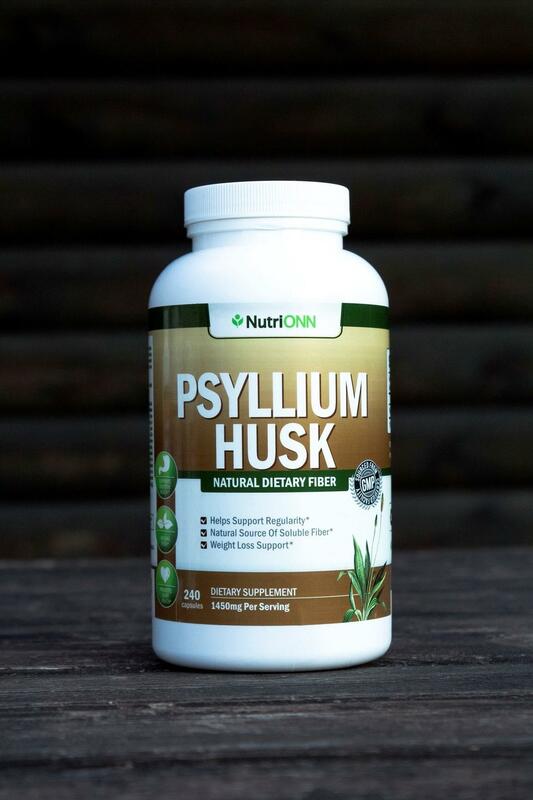 Because psyllium husk can expand up to 40 times its regular size when combined with liquids! To reduce cravings and keep you full longer, take psyllium husk before your meals. And of course this has been shown in studies as well. For example, one study showed how taking 3-6 grams of psyllium husk right before a meal increased the sensation of satiety and decreased hunger later on during the day (Source). In addition to supporting your digestion, psyllium husk is a great way to naturally lower cholesterol levels. A study published already back in 1989 already indicates that psyllium husk can lower high cholesterol levels in hypercholesterolemic patients without any adverse side effects (Source). Psyllium husk has also been shown to help balance blood sugar levels by decreasing glucose absorption in type 2 diabetic patients (Source). Further, multiple studies have shown the benefits of water-soluble fibers like psyllium husk on lowering blood sugar levels. As you learned, psyllium husk has many health benefits and it’s a safe way to support your health in different areas. Click HERE to buy our all natural and super convenient Psyllium Husk capsules and find out more about it! PS! If you’re not done reading for today, here is one of our older blog posts about the weight loss benefits of psyllium husk. Heart disease is one of the deadliest diseases of our time: in the United States it causes 1 in every 4 deaths. In this blog post we’ll discuss what are the risk factors in developing heart disease and how Citrus Bergamot can support your heart health. Heart disease is a broad term referring to various types of heart conditions. It is not something that only concerns older people. Some people are born with it, and even children can develop heart disease. The most common type of heart disease is coronary artery disease, which is caused by plaque buildup inside the walls of your arteries. Plaque is made up of LDL cholesterol aka the bad cholesterol, inflammatory cells and other compounds that move around in your bloodstream. Because plaque starts to take up space in your arteries, it causes blood vessel walls to stiffen and become more narrow. This means that your heart is not getting enough blood and oxygen pumped into it. Furthermore, if coronary heart disease has been untreated for too long, the plaque may rupture and clot your arteries, which may result in a heart attack. Unfortunately, it is not uncommon that heart disease has progressed without any notice. In some cases, the first symptom of coronary artery disease is a heart attack. Heart disease risk factors include high blood pressure, high LDL cholesterol aka bad cholesterol, diabetes, smoking, being overweight, poor diet, not exercising, drinking too much alcohol or using drugs. It is extremely important to keep an eye on your heart health. Your lifestyle choices play a big part in it – eat a healthy diet, eliminate processed, sugary and fatty foods, exercise and get your heart regularly checked by a doctor. If you’re struggling with high cholesterol, high blood pressure or diabetes, you need to pay close attention to it to minimize the risks and possible complications. What is Citrus Bergamot & How Can It Help? Citrus Bergamot is an extract derived from the bergamot orange fruit. It’s been clinically shown to support heart health by promoting healthy cholesterol, blood sugar and triglyceride levels and supporting blood vessel function. So what makes Citrus Bergamot so special? It contains a high amount of polyphenols that have antioxidant properties. Polyphenols help prevent premature aging and cell damage. Citrus Bergamot helps lower bad cholesterol levels and increase good cholesterol levels. It supports blood glucose metabolism and helps naturally balance blood sugar levels. Furthermore, Citrus Bergamot supports your blood vessel function and promotes healthy blood pressure levels. It helps reduce inflammation and prevent plaque formation in your arteries. As an added bonus, it supports weight management (remember, obesity is a risk factor in developing heart disease!) by balancing blood sugar levels, and helps activate the AMPK enzyme that’s a key player in regulating your metabolism. Having high levels of bad cholesterol, high blood pressure or low blood flow and leaving it untreated can cause plaque buildup in your arteries. This is a major risk in developing heart disease, so tackling it should be your priority. Our ultra potent Citrus Bergamot extract is the ideal way to naturally help support your heart health. We don’t use any artificial ingredients, it’s a completely pure and natural product. Plus, it’s vegan! Click HERE to get yours today. We already know all the basics to maintain high energy levels while living our busy lives. In theory: eat nutritious foods, exercise regularly and get enough sleep. However, the reality is that it might not be enough. There’s always so much to do, but never enough time or energy. Instead of reaching for that cup of coffee every time you’re feeling tired, we have a few supplements up our sleeve that will do the job (and maybe even better!). MCT stands for medium chain triglycerides aka medium chain fatty acids. Your body can digest MCT’s a lot quicker than any other type of fat. They’ll go directly to your liver where they will immediately be used for energy. Here’s a blog post about the differences between MCT oil and coconut oil. To get that bulletproof coffee effect, take your MCT softgels with a cup of coffee. Instant energy is guaranteed and you’ll power through the day with no effort. 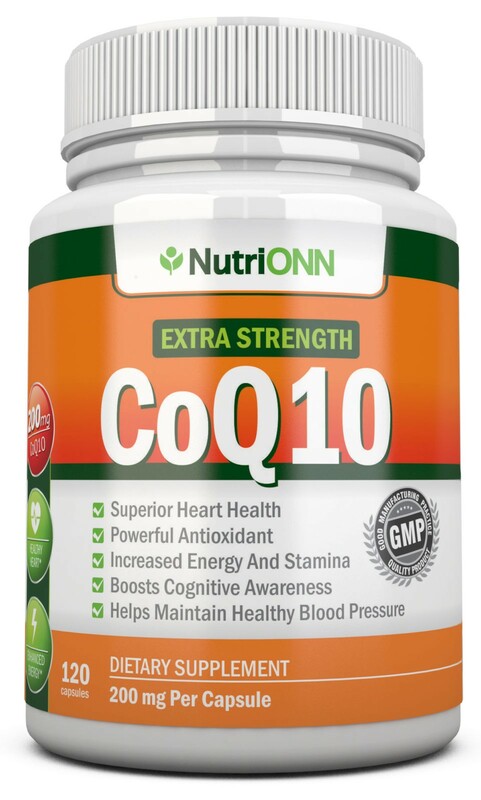 Coenzyme Q10 aka CoQ10 is used in your cells to produce energy that’s necessary for cell growth and maintenance. If your body is not producing CoQ10 properly, not only does it speed up the aging process, you may start feeling tired and fatigued all the time. 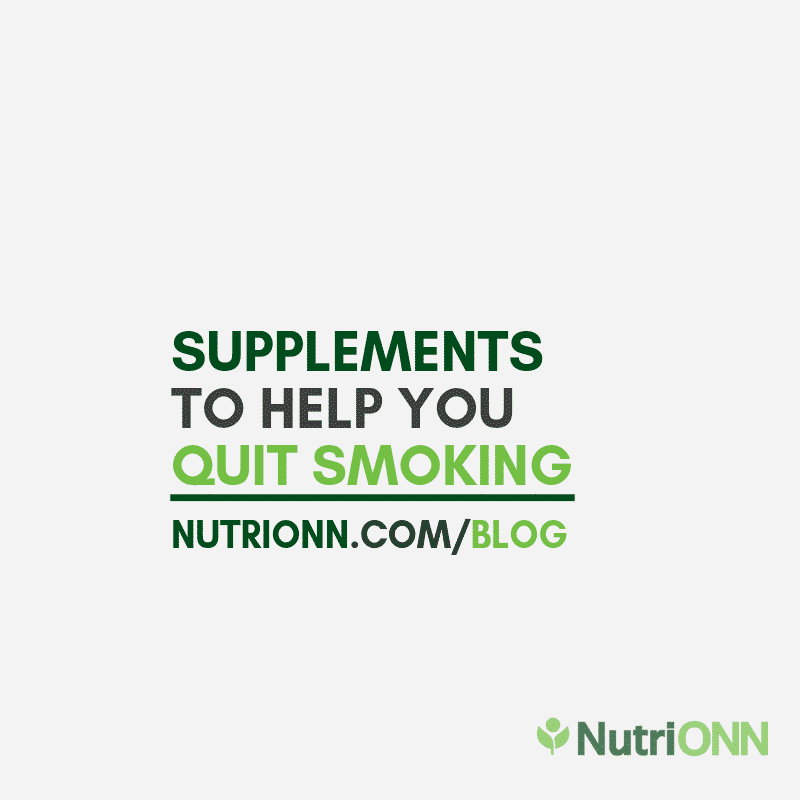 With age, certain diseases or taking some prescription drugs may lower your natural CoQ10 levels. 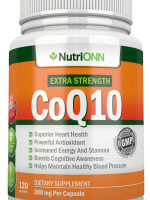 Adding a high quality CoQ10 supplement to your diet can help increase your energy and stamina. Plus, it can boost your cognitive awareness too! PS! Your body absorbs CoQ10 best with a fat containing meal. Take it with MCT Oil for best results. Magnesium supports the energy production in your body by activating adenosine triphosphate (ATP) that helps fight fatigue. Magnesium Glycinate is hands down the best form of magnesium that you can take. The essential mineral magnesium and the amino acid glycine create a strong bond, and glycine will help magnesium be absorbed better by your body. Furthermore, the added glycine has also benefits on sleep efficiency, cognitive awareness, attention and memory. Another great supplement to boost your energy levels is Electrolytes. It has lots of different minerals and nutrients, including magnesium, that help fight fatigue. Fluid and electrolyte loss in your body can leave you feeling tired, especially after exercise or during menstruation. We all know someone who says how they can’t function before they have their first cup of coffee in the morning. But what if you don’t drink coffee? 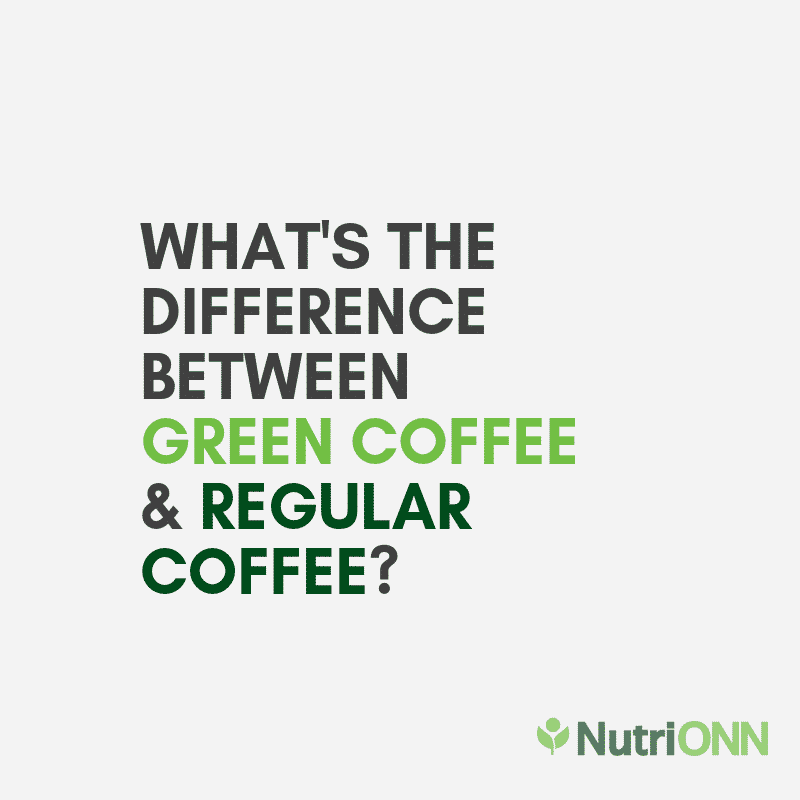 Green Coffee Bean Extract is the perfect solution for that. 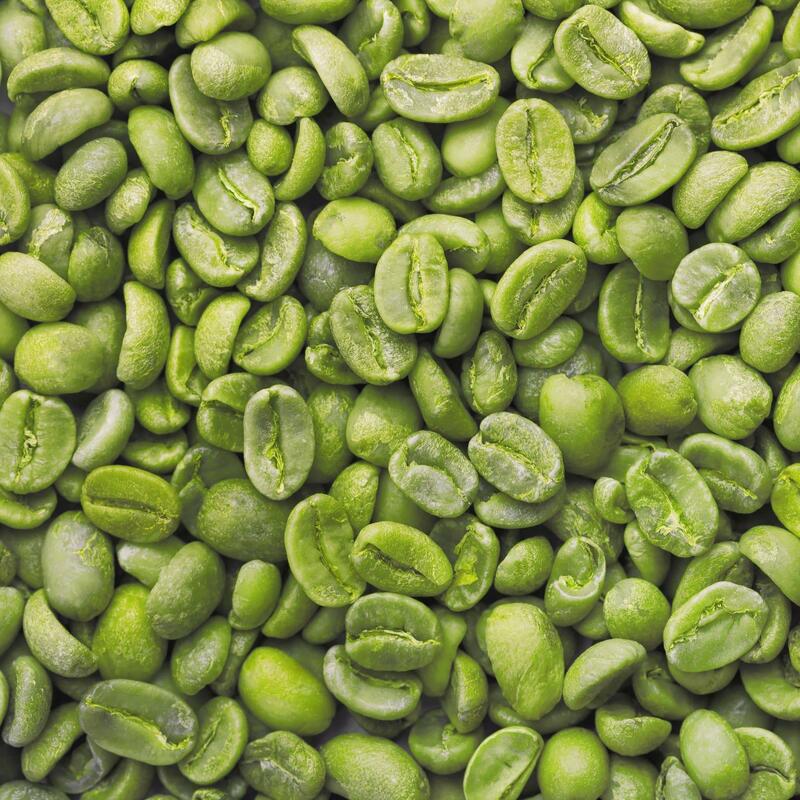 Green coffee beans are regular coffee beans that haven’t been roasted yet. This means that you’ll get all the energy, and a high amount of a chemical called chlorogenic acid that has all sorts of amazing health benefits. Also, no need to worry about the coffee breath! 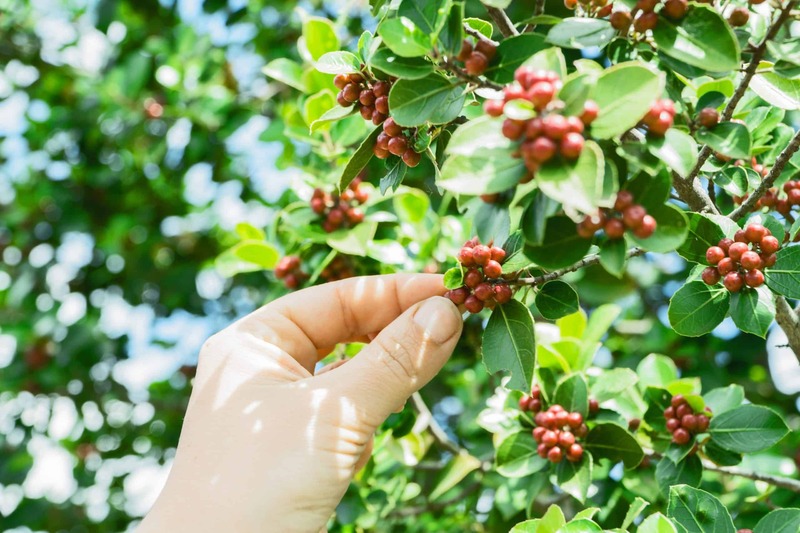 Read our blog post about green coffee HERE. Take Green Coffee Bean Extract 30 minutes before a meal for the best results. This way it will also help manage your blood sugar levels, so no more feeling tired and sluggish after eating a hearty meal. Holy Basil is an all-round supplement you can use to fight stress and fatigue. It’s especially great if you’re going through a mentally and/or physically challenging period, because it helps your body to adapt to stress. It supports brain function and mental alertness, and helps you feel relaxed and refreshed in no time. Holy Basil contains a fat soluble vitamin K, which is a key player in promoting brain function. Take it with a fat containing meal or with a healthy fat supplement like our MCT Oil for maximum absorption. Biotin converts the food you eat into usable energy and supports your metabolism. Your skin, hair and nails need energy for growth as well. If you’ve noticed that your skin has been looking dull and your hair and nails breaking all the time, your body probably isn’t getting enough energy that it needs. Some medications can affect your body’s biotin levels, so adding it to your diet may be exactly what your body needs. But first make sure to consult with your doctor! 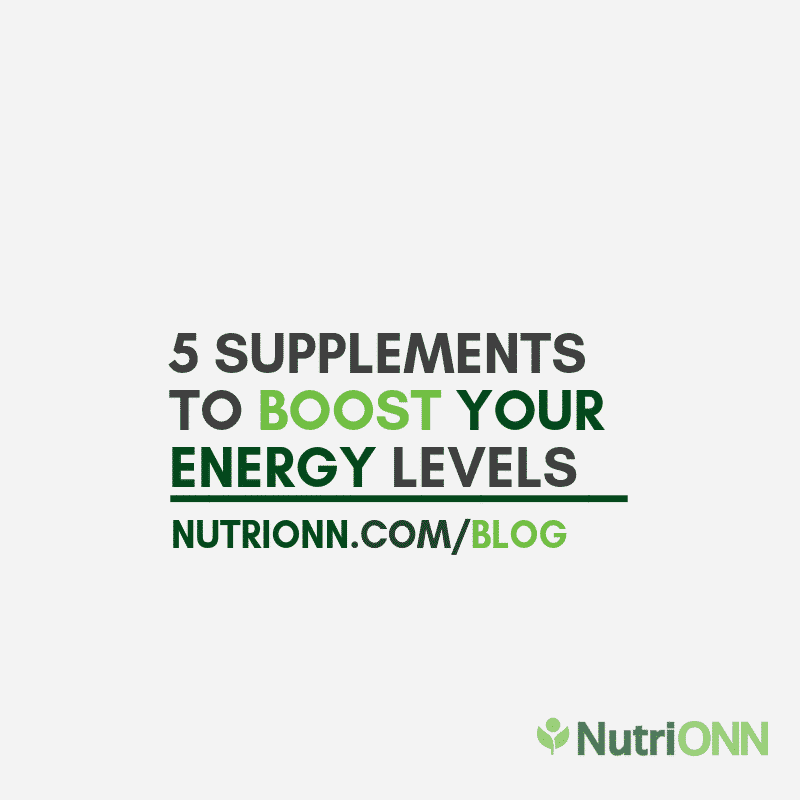 What are your favorite tips and tricks to combat fatigue and boost energy? All of us have experienced stress at some point in our lives, some of us more, some of us less. But there’s a reason why stress is called The Silent Killer. Excessive and chronic stress may lead to serious health problems and drastically reduce the quality of your life. 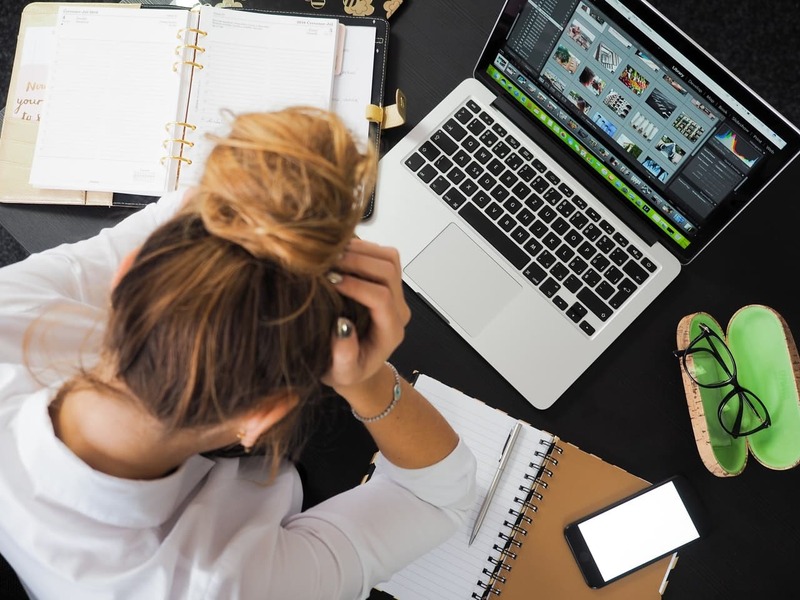 In this blog post we’ll talk about what is stress, why and when is it important to manage stress and how can you do it. Keep reading. Stress is a normal reaction that we all experience. Some of us are stressed at work or because of a tragic incident, whereas others barely ever feel stressed out. Even noise and big crowds can make some people feel stressed. All of us are differently affected by stress, but it happens to everyone. Feeling moderate stress from time to time is a completely normal thing. It can even be positive and motivate us to work harder or keep us more alert. However, when it becomes a chronic occurrence then it’s time to change something. 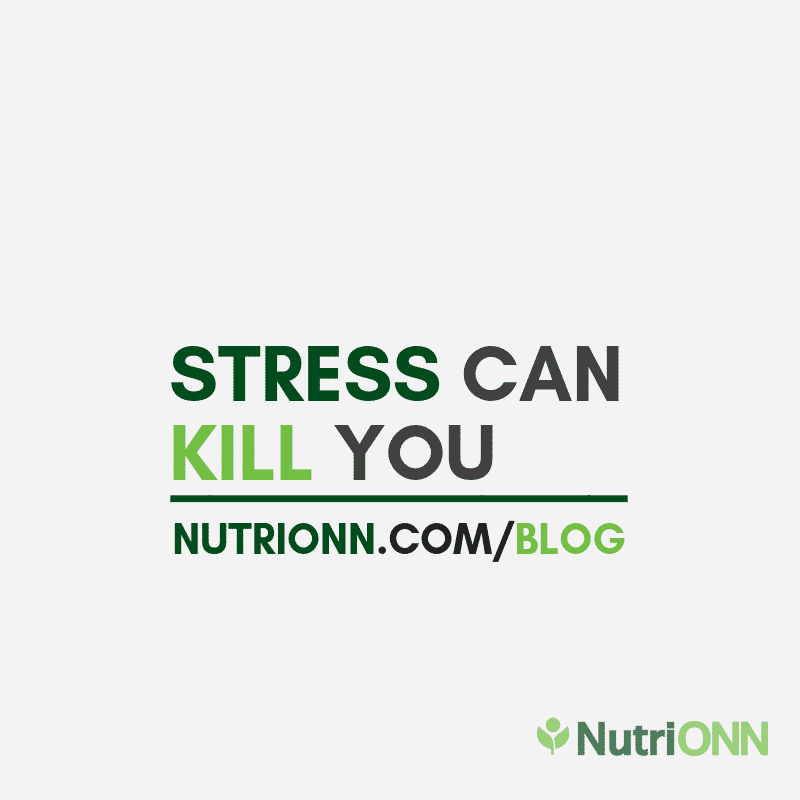 We talked a little bit about stress in our hormonal balance blog post. Your adrenal gland produces a hormone called cortisol. It is also known as the stress hormone because it regulates your body’s reaction to mental and physical stress. When you’re in a highly stressful situation, your body will start producing more cortisol to deal with the ‘threat’. After this your cortisol levels should go back to normal. If that doesn’t happen and your cortisol levels are constantly high, you’re being exposed to a number of health risks like inflammation and premature aging. Chronic stress puts a lot of strain on your body and mind and can affect all sorts of physical and psychological processes. 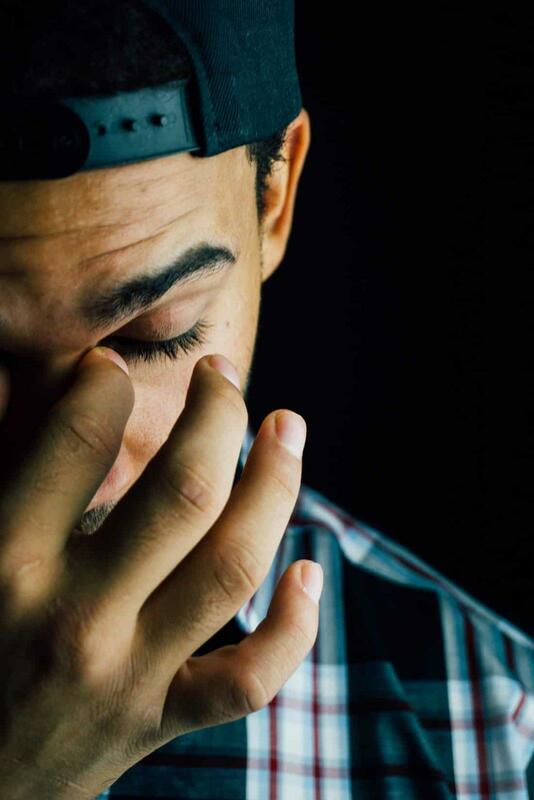 Most common symptoms of stress are headaches and chest pain, problems with memory and concentration, fatigue, allergies, high blood pressure, but also anxiety and moodiness. Furthermore, constant stress may lead to heart disease and mental illness. If you’re constantly feeling stressed by everything and everyone around you, start (or end) your day away from all the distractions. Find yourself at least 15 minutes a day to relax – meditate, pray or just be alone in silence to gather your thoughts. If you start your day in a relaxed state, it will carry you throughout the day. Don’t underestimate the value of starting and ending your day right and what it can do to your health. 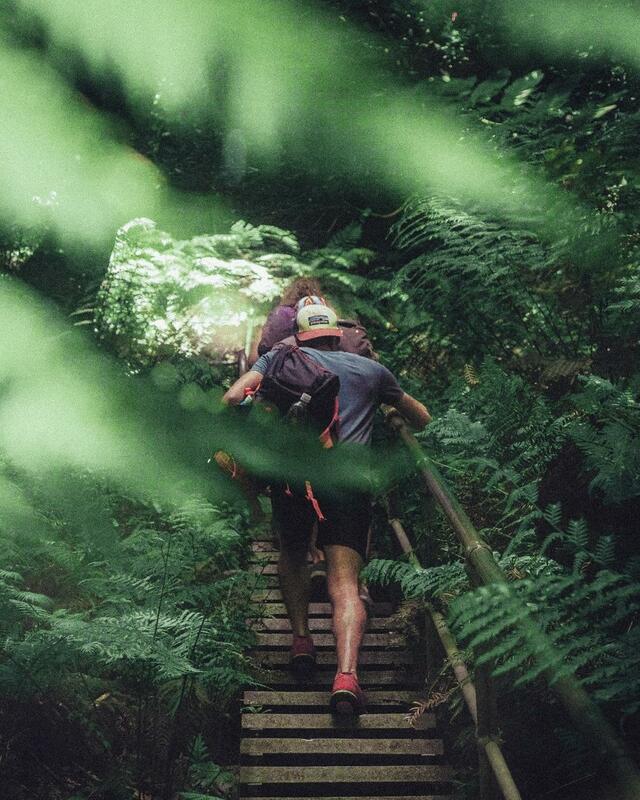 Did you know that exercise has been proved to reduce stress? Even if you don’t have hours to spend at the gym, go for a brisk walk or find some free workout videos on YouTube – there are a lot of those available by the way! Better yet, find a sport that you really enjoy doing. It can be hiking, swimming, snowboarding, basketball, a Pilates class or whatever you like. Physical activity helps you clear your mind and has so many amazing benefits for your health. It reduces the risk of heart diseases, regulates hormones, elevates your mood and helps reduce anxiety. You’ve probably heard this one a lot. Getting enough sleep can be quite a bit of an effort. All of us have so many responsibilities that need to be taken care of, and often we disregard the need for good quality sleep. On the contrary, you’ll be ready to roll when you’re well rested. When you’re tired, you’ll lack of energy and will most possibly feel sluggish, even irritated and not at your best. Make sure to sleep at least 7 to 9 hours each night. If possible, go to bed and wake up at the same time every single day to really get into a good routine. Our bodies like to work in a stable rhythm, and messing your whole routine up is a lot easier than it seems. 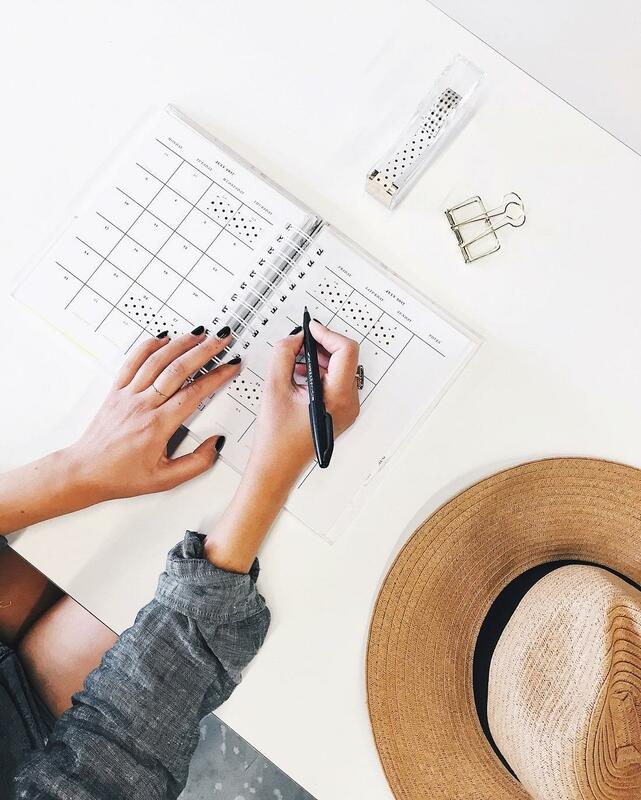 Make a schedule and prioritize what you need to be doing. This helps you to stay on top of your responsibilities and feel less stressed out when you have a lot going on. And do not procrastinate! Instead of feeling bad that you’re procrastinating, start doing! This also goes for the previous point about getting enough sleep. Be organized about your sleeping schedule and make it one of your top priorities. Get away from your computer, look out of the window, have a brisk walk or just a nice cup of coffee – whatever floats your boat. If you find yourself feeling stressed, take a quick break to relax and unwind. Even 5 minutes away from your work desk can do wonders. Eating healthy and nutritious food provides your body a lot of nutrients that play an important role in managing stress. Good quality carbs and proteins, fresh fruits and vegetables are a great source of stress relieving nutrients. Moreover, healthy diet removes waste and toxins from your body, makes your immune system stronger, improves mood and brain functioning and of course helps manage weight and reduce the risk of heart diseases. Avoid processed and fast foods, excess alcohol and drugs to stay healthy and stress free. All of these will deplete your body of beneficial and essential nutrients. Adding natural remedies like food supplements to your diet is a great idea if you’ve been feeling stressed for a longer period of time or when there’s a stressful situation ahead. Our Holy Basil Leaf Extract is your new go-to supplement to reduce mental and physical stress. It’s been used in the Ayurvedic medicine for centuries because of its protective properties against health problems stemming from stress. In addition, supplementing with Magnesium and Selenium can be helpful in combating excessive stress as well. These essential nutrients are key players in regulating your hormones and reducing stress, irritability and fatigue. Try to stay positive. It’s so important that you try to see the sunshine even during the ugliest day. Laugh a little, have some fun and enjoy the small things in life. Don’t sweat the small stuff like sitting in traffic or dealing with an annoying neighbor. Take control of your own emotions and reactions and you’ll soon notice how things don’t seem so bad at all. We can’t avoid stress, but we can learn how to manage it to live a happier and healthier life. We hope that these small but powerful tips will help you deal with stress better as well. What are your top tips to reduce stress in your life? Let us know in the comments! Click HERE to learn more about our new Holy Basil Leaf Extract. What Are Electrolytes & Why Do We Need Them? Most of us have probably heard of electrolytes and how your body needs them. In this blog post we talk about what electrolytes are, why do we need them, what causes electrolyte imbalance and how can you replenish electrolytes. Without further delay, let’s find out! 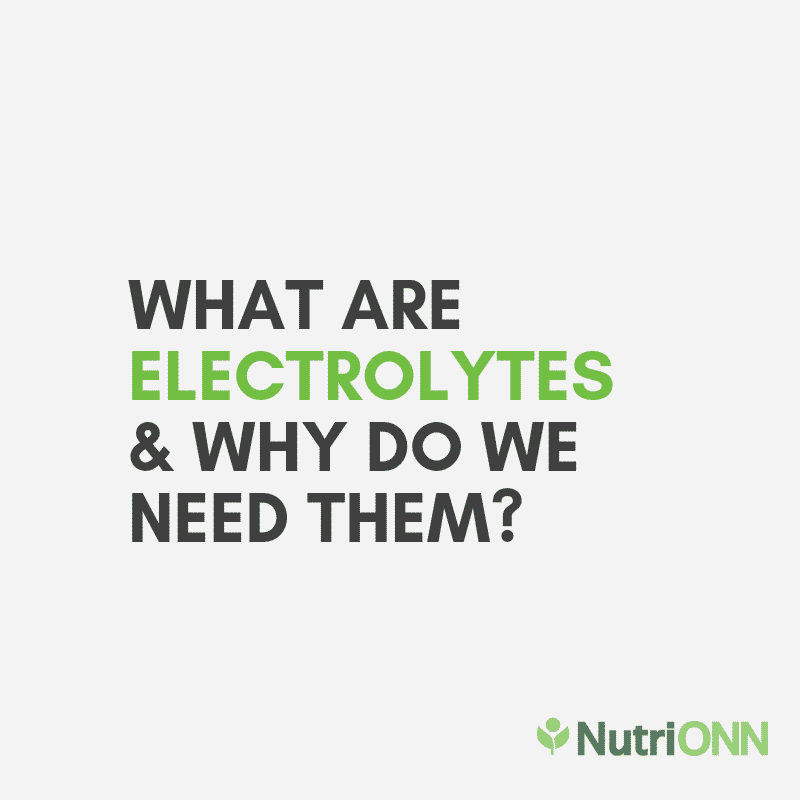 As their name hints, electrolytes are electrically charged nutrients present in your tissues and body fluids. These nutrients are essential for a wide range of important functions. The electrical charge electrolytes provide sends signals throughout your body. Essentially, electrolytes act as messengers in your body. So what is the point of electrolytes and what do those signals do? Electrolytes help balance the amount of water and PH-level in your body, support the nervous system, regulate muscle function, promote good cardiovascular health and proper digestion. When electrolyte levels become too low or too high, it creates an electrolyte imbalance and your body may start to send out false signals. This can result in various symptoms like twitching and cramping muscles, aching bones, headaches, digestive issues, weakness, irritability, anxiety and in worst cases irregular heartbeat, changes in blood pressure and seizures. Potassium – promotes healthy blood pressure, supports the nervous system, helps regulate muscle function and supports healthy bones. What Causes Electrolyte Loss And Imbalance? You know when sometimes after exercise or illness you feel sluggish, your muscles start twitching and cramping, or your digestion has changed? Well that’s because your body has got rid of the necessary electrolytes by fluid loss and can’t properly send out signals anymore. Most commonly electrolyte loss occurs after your body has lost a lot of fluids. This happens when you exercise, sweat (important when you live in a hot climate! ), vomit, suffer from diarrhea, while traveling or when you’ve had one too many drinks. Electrolyte loss or imbalance can also happen due to various illnesses or when you’ve been eating unhealthy for a longer period of time. By the way! Menstruation is also another factor that can cause an electrolyte imbalance. To maintain healthy electrolyte levels, relieve dehydration and support recovery, you should load up on your electrolyte intake. You’ll get a lot of electrolytes from the foods you eat. It’s so important to eat a healthy and balanced diet, because this will help you prevent electrolyte imbalance. As we talked earlier, eating an unhealthy diet full of processed foods can lead to electrolyte loss, so it’s important to give your body the nutrients it needs for normal functioning. Not to mention, processed foods are often high in sodium, putting you more at risk of electrolyte imbalance. For example, leafy greens like spinach and kale are packed with magnesium. Dairy products, eggs, meat and fish, but also lots of vegetables and beans contain a lot of calcium. Bananas, avocados, sweet potatoes and tomatoes are a great source of potassium. 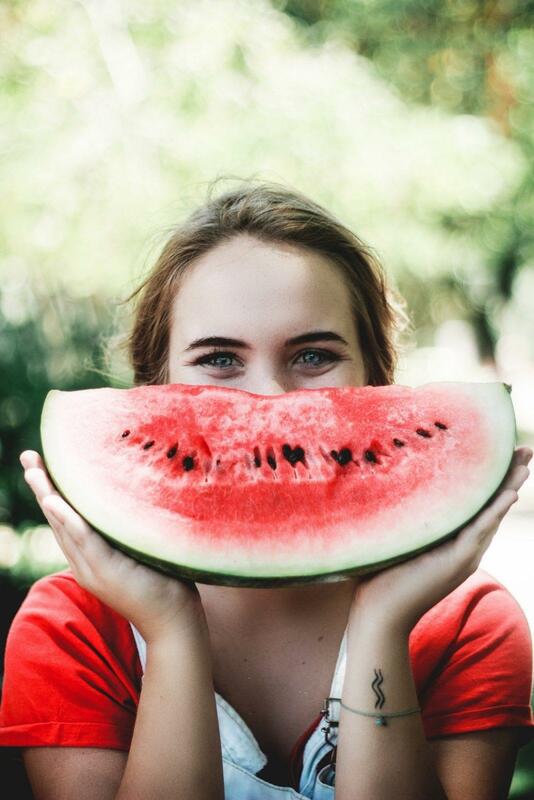 If you’re craving something super hydrating then cucumbers, watermelon, celery and bell peppers are perfect for that! Also, because electrolytes balance the amount of water in your body, it is important to stay properly hydrated. Drinking enough water helps flush you body from excess salts to prevent electrolyte imbalance and keep the water balance in check in your cells. However, if you drink too much water, your body may start to get rid of too many of those essential nutrients. Drinking plenty of water is especially important when you exercise and sweat. The longer and harder your workouts are, the more you probably need to restore your body’s electrolyte levels. If a healthy diet just isn’t enough then adding an Electrolyte supplement to your routine may be the ideal solution. You can read more about our Electrolyte supplement by clicking HERE. Our Electrolytes are in capsule form, making it such an easy way to replenish your electrolyte levels. No need to mix in a drink, just swallow one capsule and you’re good to go! It’s keto-friendly and no sugar or sweeteners have been added. Plus, in contains vitamin D, boron and BioPerine for better absorption. Have you tried them out yet? Get yours today from HERE! Kidneys have an important role to play in your body. Even though you can live with just one, making sure your kidneys are healthy is essential for your body to function properly. However, kidney problems may not be so noticeable at first. Having issues with kidney health may lead to different chronic diseases that can be dangerous for you. So as we always say, it’s better to prevent it rather than deal with the aftermath. What Are Kidneys and What Do They Do? Kidneys produce urine, this process filters blood by removing toxins and excess water. And then of course you’ll pee the waste water out. If your body doesn’t eliminate waste properly, toxins can start to build up in your kidneys and this may lead to several health issues. They also remove excess acid that your body produces and maintain fluid and blood mineral balance. That balance is important for the normal functioning of tissues, nerves and muscles. As well as removing waste and toxins from your body, kidneys also take part in making hormones that regulate blood pressure, produce red blood cells and support bone health. PS! 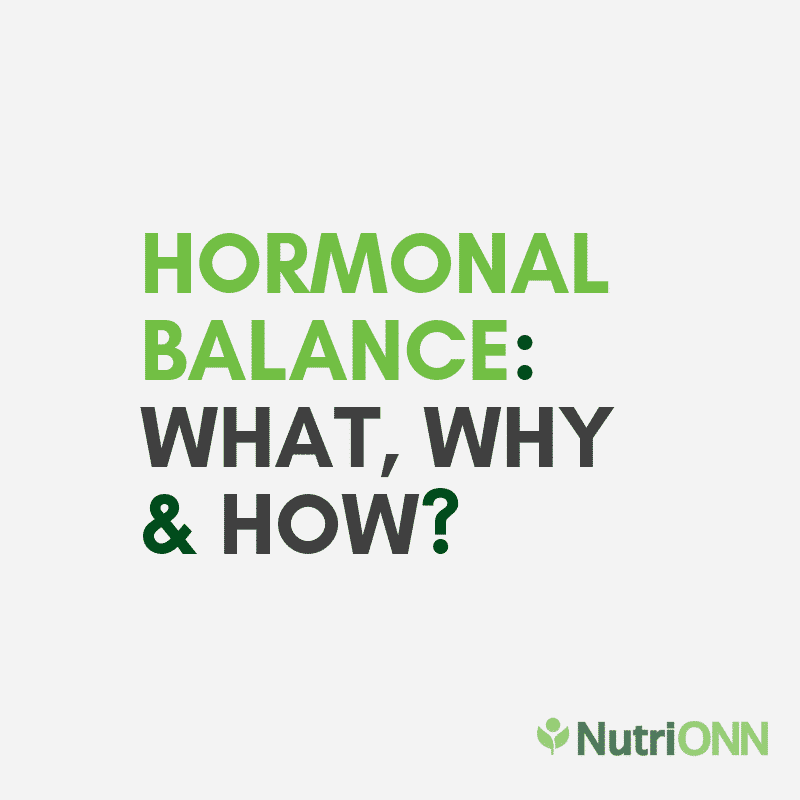 In our last blog post we talked about hormonal balance and why it is important, so make sure to read it by clicking HERE. What Are the Symptoms of Kidney Problems? Kidney problems can cause a wide range of symptoms. Or often no symptoms at all. Some of the noticeable symptoms include problems with urination, blood in urine or foamy urine, kidney pain and back pain, fatigue or feeling weak and dizzy, nausea and digestive issues, itchy and dry skin, swollen hands, feet or face, food tasting like metal or breath that smells like ammonia. If you suspect that there might be an issue with your kidneys, make sure to see a doctor who can make all the necessary tests. Having untreated kidney problems like urinary tract infection, kidney stones or kidney infection for a long time may lead to chronic kidney disease or even kidney failure. Also, if you have diabetes, it is especially important to keep an eye on your kidney health, because of the higher risk of developing kidney damage. 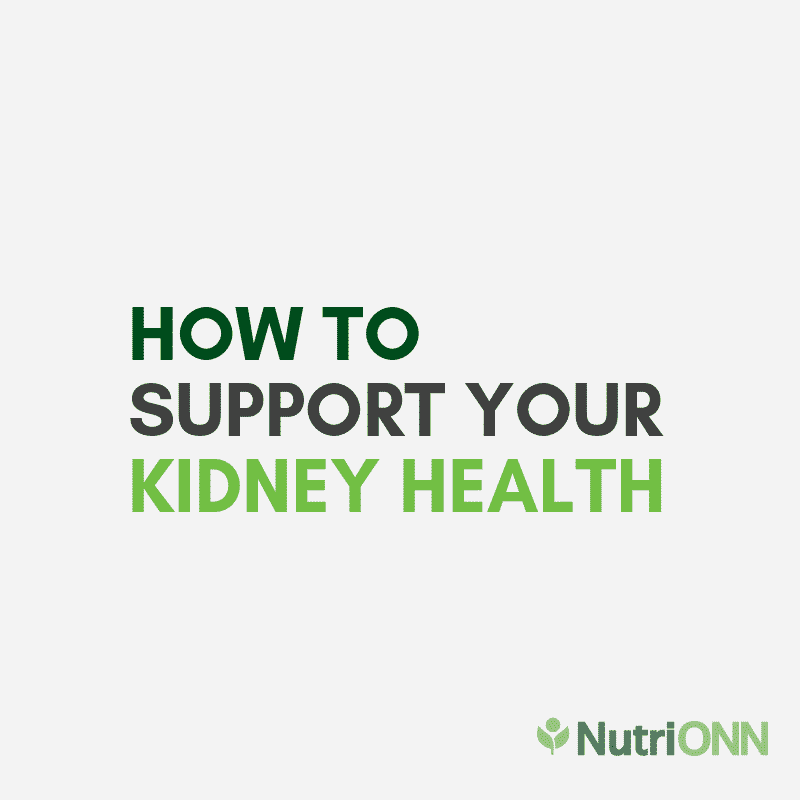 How Can You Support Your Kidney Health? Because your kidneys filter waste out of your body by producing urine, you have to stay properly hydrated to flush out all the toxins. This helps to avoid waste buildup in your kidneys that in turn lowers the risk of developing kidney diseases. 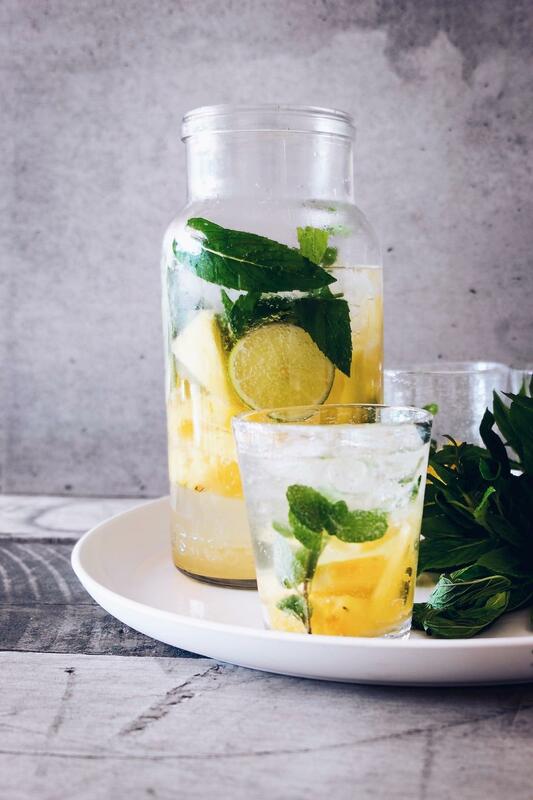 Usually it is recommended to drink at least eight 8-ounce glasses of water a day, but as we all are different and have different lifestyles, you might need to drink a bit more. Especially if you’re taking your workouts seriously or live in a warm climate. Your diet should consist of vegetables, leafy greens, fruits, high quality protein and healthy fats. Ditch the processed, sugary and high-salt foods that put extra strain on your kidneys. They’ll have a much better time eliminating waste from your body when you don’t put a lot of toxins in your body in the first place. Furthermore, eating foods high in antioxidants helps reduce inflammation in your body. Reducing inflammation is crucial for preventing kidney infections, because chronic inflammation can cause permanent damage on your organs. Our Bromelain supplement is a great way to assist your body in fighting inflammation. You can read more about inflammation and what it does to your body by clicking HERE. 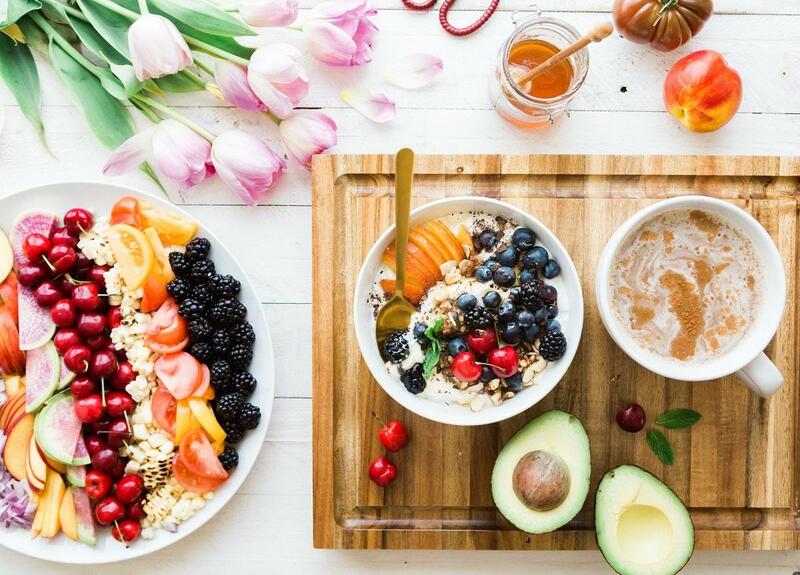 Not only is healthy food a necessary fuel for your body, it also helps manage weight and balance blood sugar levels, which is crucial to prevent diabetes. Moreover, carrying extra weight on your body is also extra work for your kidneys. To remove waste, kidneys need to filter more blood, and because they are constantly overworking, you’re putting your kidney health at risk. As we mentioned, being overweight is a big risk factor in developing kidney diseases. So, to get fit and stay fit, it is important that you move your body regularly. Exercise is also a great way to naturally manage blood pressure levels. This in turn helps reduce the risk of developing chronic kidney disease. Herbal supplements can be a useful way to support your kidney health. For example our all natural Kidney Cleanse supplement. It consists of a blend of herbs that have been used for kidney and urinary tract health for hundreds of years. Kidney Cleanse helps kidneys in their normal functioning of eliminating waste and toxins from your body. And because of the Organic Cranberry Extract in our product, it’s such a great way to help with urinary tract infections as well. However, always consult with your doctor before starting to take any supplements. If you already have problems with your kidneys, the first thing to do is let your doctor make all the necessary tests. This is such an important step, because some herbs or extracts might actually do more harm than good, depending on the condition of your kidney health. To conclude, kidneys have an important job to do in your body. This is why it’s extremely important to start with prevention early or to avoid any further damage. Luckily, preventing kidney diseases and supporting your kidney health is fairly easy by leading a healthy lifestyle. 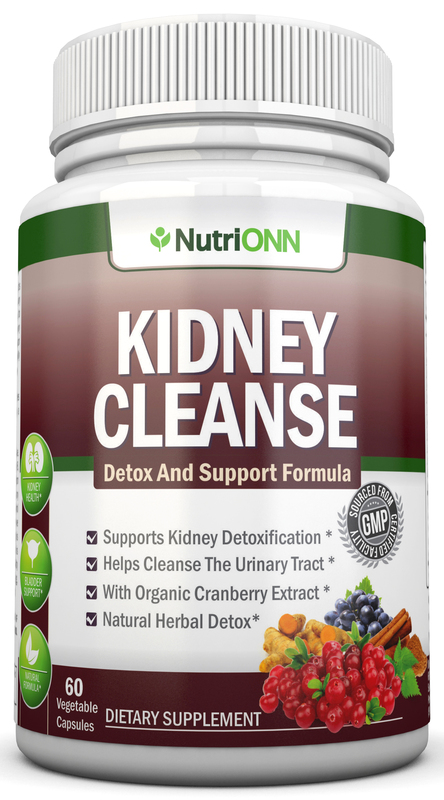 You can read more about our Kidney Cleanse supplement by clicking HERE.